“Jealousy is a curse” as the saying goes, and how true that is; it causes feelings of anger and anxiety and when unleashed can destroy relationships. Unfortunately, this corrosive feeling, is in-built, a natural human response and something we experienced from a young age. Take yourself back to your sister’s 5th birthday party, feelings of jealous may have raged as she opened a mountain of gifts and was centre of attention all day. Many years later, you may still find yourself feeling jealous over slightly different prized possessions, but by now you have learnt how to control it, or at least disguise it. Or maybe not? If the green-eyed monster still plagues you, it may be time to reflect on the underlying cause of jealousy, then learn how to accept it and finally, let it go. Jealousy often stems from feelings of mistrust and insecurity. Social media is notorious for creating feelings of jealousy and inadequacies. Be careful not to compare your ‘real’ life to the showcase reels of Instagram and Facebook; it is fraught with danger. Take time out from social media if you find feelings of jealousy or inadequacy bubbling and remind yourself that this ‘feed’ is not reality. If your insecurities are based on a lack of self-worth, embracing a more self-compassionate perspective, by learning to love yourself, will enable you to love others more wholly. You can read bout self-compassion here. Talking to a psychologist can help, if feelings of jealousy are fuelled by lack of self-worth or insecurities that may be based on past experiences. It is important to reiterate, that if you are feeling jealous, there is nothing wrong with you, it is normal. What you need to master, is how to how to accept the feeling and then let it go before you have time to act on it. 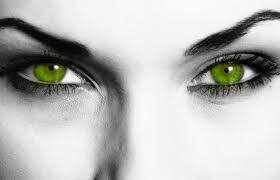 Sometimes it is helpful to name the feeling ‘the green eyed-monster’ for example, as to detach yourself from this feeling and stop it from controlling your actions. Reflecting on the reasons why you are feeling jealous and responding by making changes to your life, can be very empowering. For example, if feelings of jealousy creep in when you see your friend looking fit and healthy, why not join them for a run, or commit to a new fitness regime. Similarly, if your colleague was successful in getting that promotion, let this feeling motivate you to work harder or enlist in professional development. Learn from feelings of jealousy and act on it positively. Lastly, let it go. Once you’ve recognised and accepted the feeling, reflect on why you feel that way and make positive changes to improve your outlook. Take a deep breath and visualise the green-eyed-monster taking a deep plunge off a cliff. Perhaps that cliff is your mountain of reflection. Insomnia driving you up the wall? Going to bed when you are not sleepy can start a vicious insomnia cycle. You feel anxious and frustrated that you can’t fall asleep, and then you lie awake while the problem perpetuates. It is important to differentiate sleepiness from just feeling tired. We can experience tired throughout our body, but sleepiness is simply dictated by our eyes closing and literally “getting the nods”. Sleepiness will come in waves and when we get this wave at an appropriate time at night, we need to take this cue and catch it. Whilst napping might be desirable for those that are not sleeping well during the night, a nap for those suffering from insomnia can significantly reduce your sleep drive and will make it harder to initiate or maintain sleep at a desirable time. If you are tempted to nap, try increasing your level of arousal to counteract feelings of tiredness, this can be as simple as standing up. We all know that exercise is good for us and will help maintain a healthy mind and body. Exercise also has the added benefit of deepening and extending our sleep. The exercise that works best for this is weight or resistance training. So start pumping that iron or turn up the exercise bike. Anytime of the day is fine however it is best to keep it a couple of hours clear of bedtime. Having balance in our lives is important. We often neglect relaxation and use the excuse of being time poor. 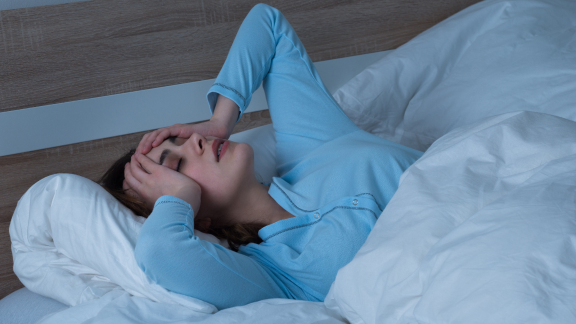 If you are having trouble sleeping, learning a relaxation procedure can be invaluable. We only enter sleep from a state of relaxation. So if we go to bed and make relaxation our goal, sleep is likely to follow, if needed. Whilst alcohol can help us relax and maybe sleep initially, it will typically disrupt our sleep later in the night. So maybe saying no to that glass of wine or two in the evening will pay off. The main regulator of our sleep is light. It dictates when we wake and when we fall asleep. With increasing use of computers and smart phones we are exposed to more light in the evenings than we have ever been. Computers and smart phones throw out a lot of blue/green light, which can delay the onset of our sleep phase. We can combat this by wearing amber or red glasses, or simply turn off a couple of hours before bed.